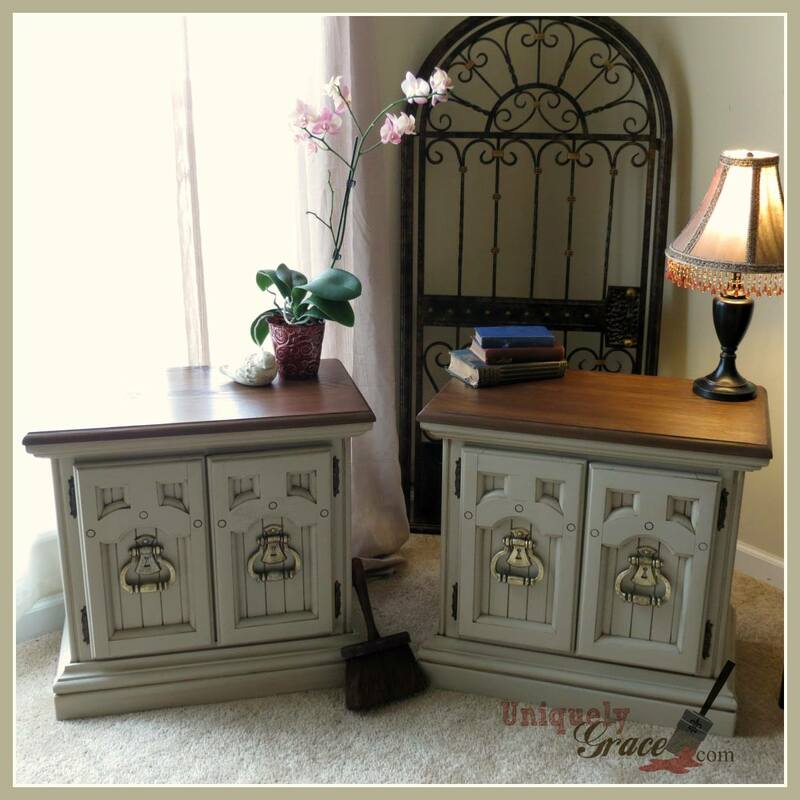 These drab old vintage nightstands needed a pick me up. 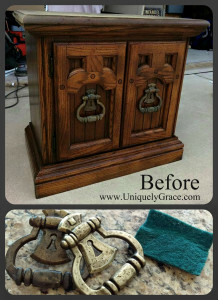 I love their hardware and wanted to bring some live and sophistication to them. They were in great over all shape with some dents and scratches on the tops. The nightstands are currently drab and not fab… so I was set out to fix that! 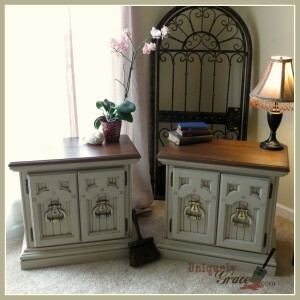 These nightstands were in great over all shape with some dents and scratches on the tops. I sanded the tops down and refinished them with a mix of 5 parts Hazelnut ReVax, 1 part Black ReVax, 1 part Brown Bronze Shimmer Glaze and 1 part distilled water. Here is a great image of how this recipe turns out. 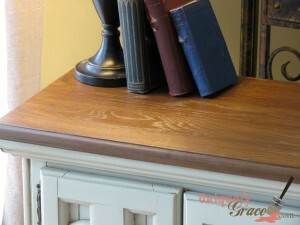 And a close up of the Cali Taupe Brush Stroke Free finish. I love how wonderful this paint is. 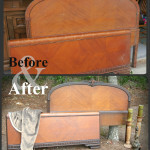 So easy to get a great professional finish and it truly has got me hooked on refinishing furniture. Cali Taupe will be a new color added to my shop in the middle of August! I just love this shade of taupe. 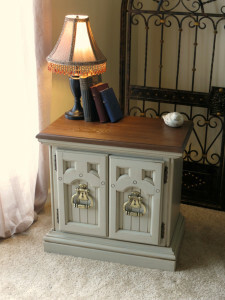 The final piece – antiqued with a little Hazelnut ReVax on the base, and sealed with Vax. Leave a comment below and let me know if this was helpful or if you would like to see any other how to videos that will help you out. Have a wonderful day! 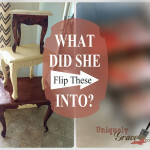 Very good post, i think you can make uniquelygrace.com go viral!